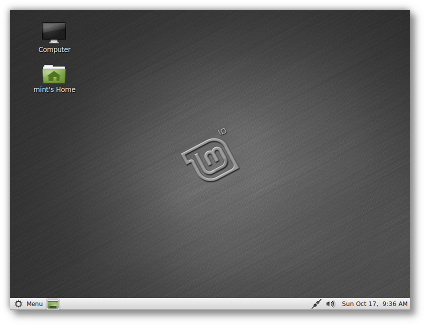 Linux Mint 10 comes with updated software and brings refinements and new features to make your desktop even more comfortable to use. Some people can't use DVDs and some people live in countries where magazines can't safely distribute codecs and patented technologies. 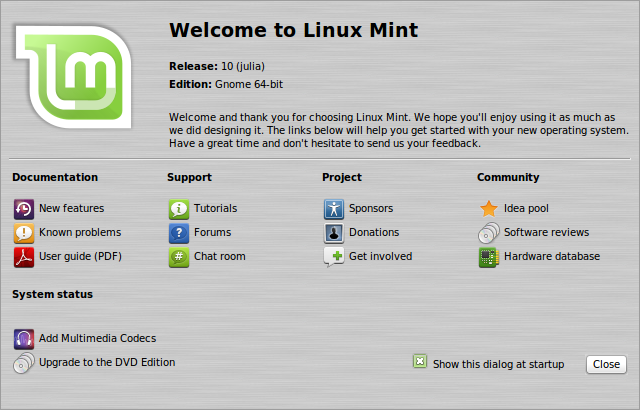 It's a pity for a modern operating system such as Linux Mint that so many people just can't enjoy it in all its glory. Well, we've solved that problem and you won't get penalized by this anymore. 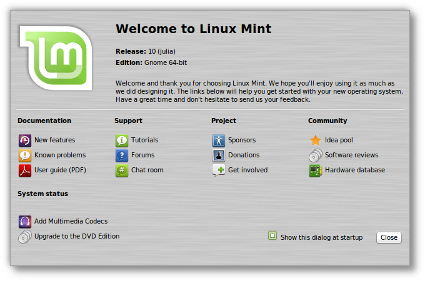 No matter what media you're installing Linux Mint from, the Welcome Screen will now give you the opportunity to install the missing multimedia codecs and to upgrade to the DVD edition. No more 2nd-class experience for people without DVD drives or suffering from bad political decisions: Install missing codecs and upgrade to the DVD edition the minute you first-run Linux Mint. 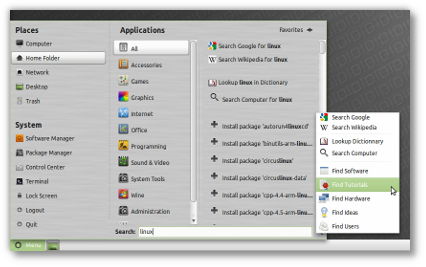 The Linux Mint Menu received new features and usability improvements. 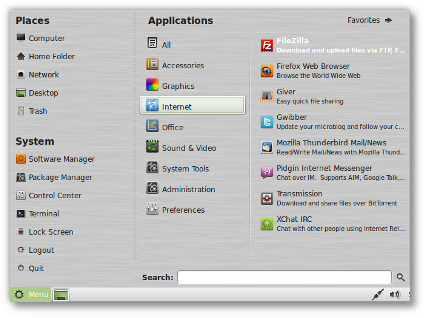 Highlighted newly installed applications: The menu highlights your newly installed applications and makes them easier to find. Finding and installing applications: Available applications are easy to find too. 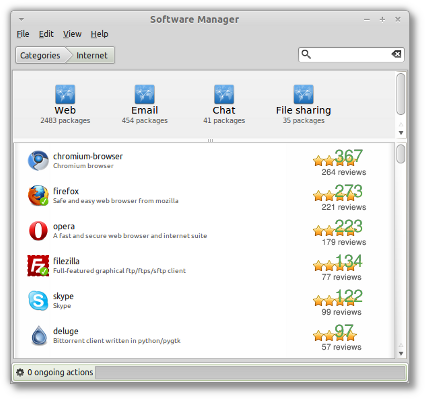 The menu is aware of what's available in your repositories so you can search for software and install packages without opening the software manager. Search engines: The menu isn't just the quickest way to open an application, it's also the quickest way to find just about anything. Whether you want to Google something up or find a Wikipedia article, just start typing and get there straight from the menu. You can also lookup words in the dictionary and find tutorials, software, hardware devices (from the online Linux Mint hardware database), ideas, and even Linux Mint users that way. 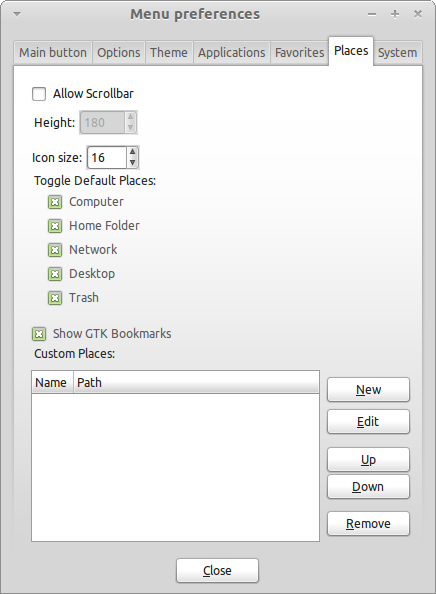 GTK bookmarks: The menu now supports GTK bookmarks. If you enabled this option in the preferences, it will show the same bookmarks as your Nautilus file explorer. 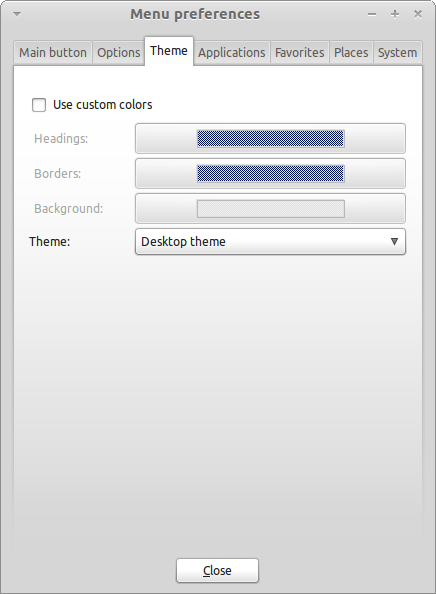 GTK themes: The menu now supports GTK themes. You can use this feature to make the menu look different than the rest of the desktop. 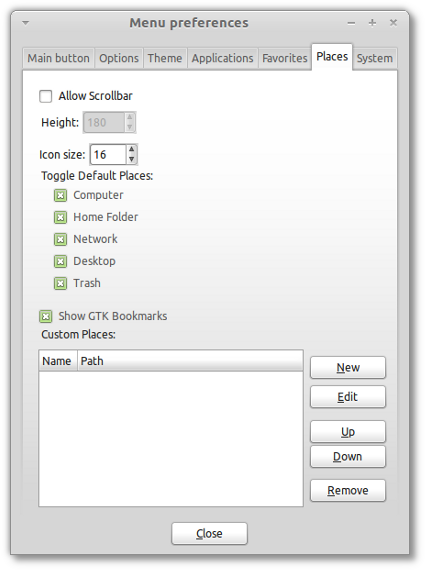 The menu now registers itself as "mintmenu" in regards to GTK themeability. 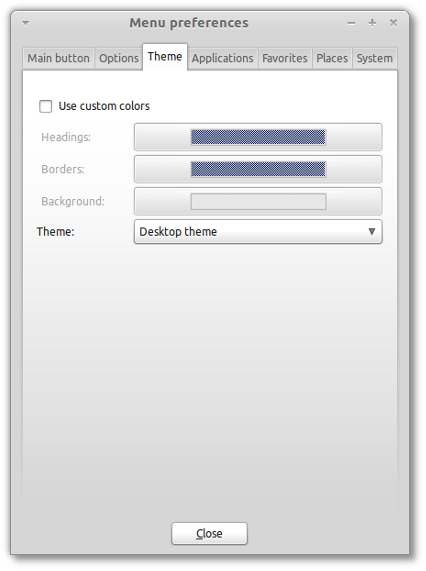 This means that GTK themes can define style sections that are specific to the menu. 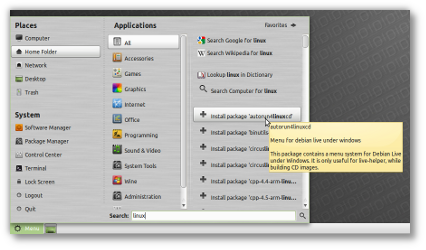 The default theme in Linux Mint 10 takes advantage of this by applying brushed metal on the menu. The icon size for place and system items are now configurable. Icon sizes are now expressed in pixels and range from 1 to 128. This makes it easier to customize the menu's appearance. 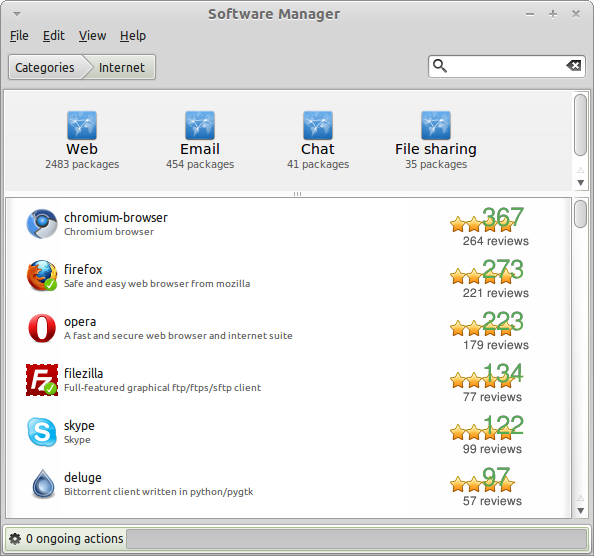 The Software Manager gives you a nicer browsing experience, with a better categorization of software and the use of application icons. 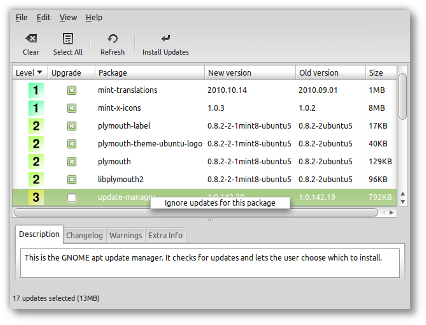 If you're not interested in receiving updates for a particular package, simply right click on it and tell the Update Manager to ignore updates for this package. The package will then be added to your "ignore" list and you won't receive any updates for it in the future. The Update Manager now also shows you the size of your selected updates, so you know how much data you're about to download. The Upload Manager isn't for everybody, but it's extremely handy for developers and administrators and it received many improvements in Linux Mint 10. 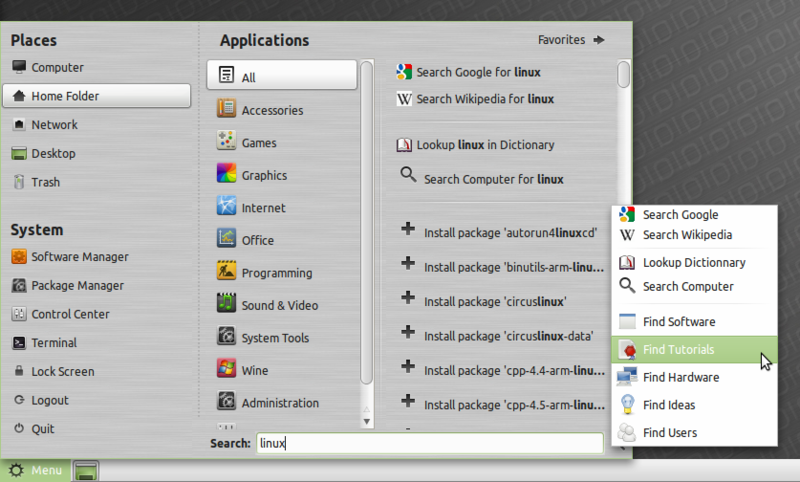 If services are defined, the system tray icon is now launched automatically at startup by Linux Mint. The "File Uploader" was also merged with the "Upload Manager". You can now test a connection while defining it by pressing the "Check connection" button. 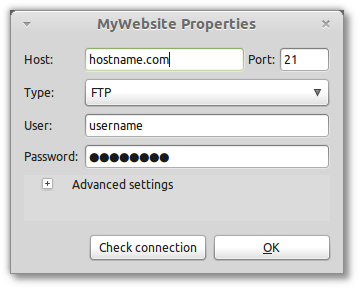 Upload services are easier to setup. Uploads can be cancelled or run in the background. The upload dialogs were improved and now look similar to the Firefox download dialogs. They measure the upload speed and calculate an ETA. File uploads now show speed, ETA and can be cancelled or run in the background. 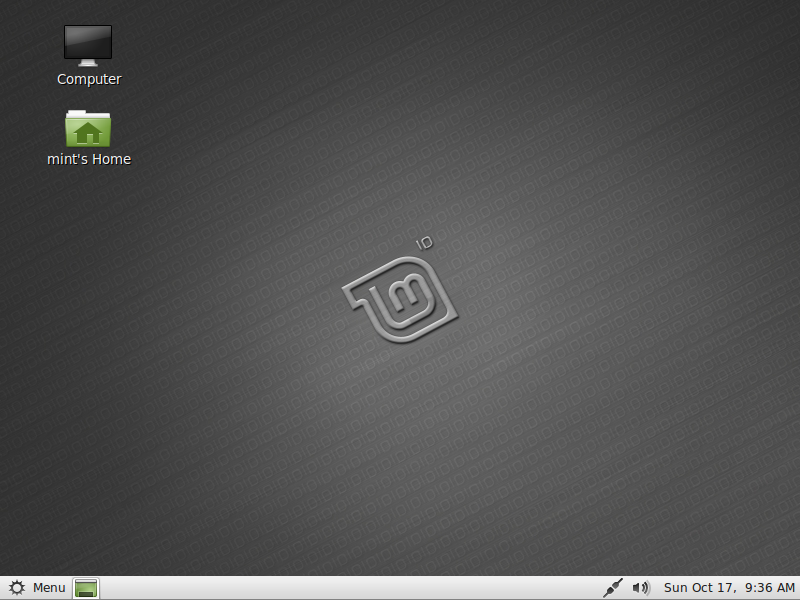 After 3 beautiful green/dark Shiki releases, Linux Mint is going back to its traditional light theme and dark background, but this time, it's giving the illusion of a metallic looking theme. It's called Mint-X and it's based on some of the most beautiful artwork available. Backgrounds: This release comes with quality backgrounds made by the following artists: kampongboy92, treeish, Sssilent and theaeffect. The default background was produced by emvalibe. Brushed metal: The desktop menu and the welcome screen were given brushed metal, to highlight the artistic direction towards which Mint is going and to underline the metallic aspect of the look and feel without impacting on the performance of the system. 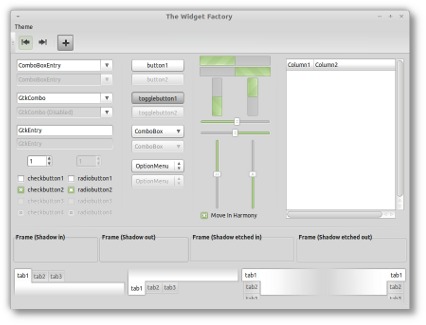 Mint-X theme: Based on Clearlooks Revamp, with modifications made to the menu, rhythmbox and some of the widgets, a lighter metal tint and modified toolbars and menu bars. Mint-X icons: Made from a collection of stunning application and status icons from "Faenza", as well as mintified versions of places and devices icons from "Elementary". 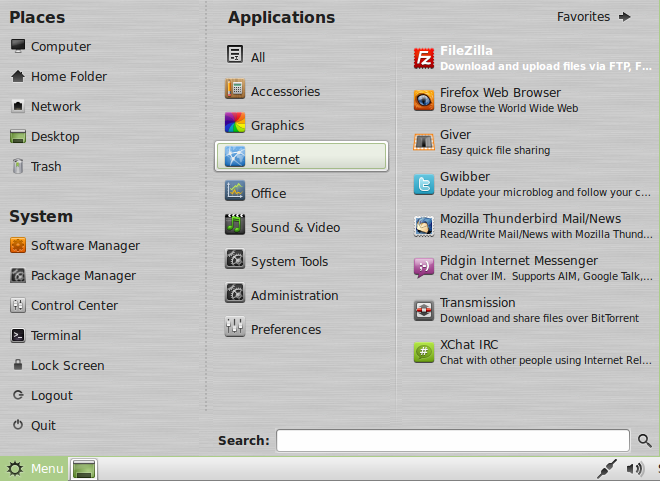 This icon theme integrates very well with the desktop, while emphasizing applications by using colorful squary icons. Another set of icons, based entirely on "Elementary" is also available under the name mint-elementary-icons. Adobe Flash: Linux Mint comes with the latest Adobe Flash "Square", running in full 32-bit or 64-bit (depending on your edition of Linux Mint) native mode. 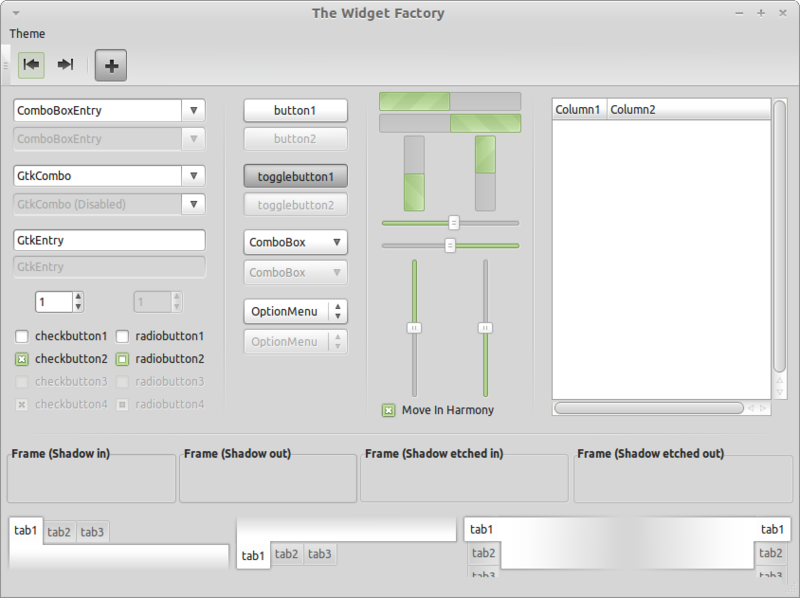 This plugin is faster than its predecessor, especially in full-screen. Oracle Virtualbox: A new metapackage called "virtualbox-nonfree" was introduced. This package points to the non-open-source version of Virtualbox and provides USB support. Signed repositories: No more warning is given for the usage of signed repositories. Using unsigned repositories no longer issues a warning but a validation question. Highlight: The "highlight" command, used by "apt" is now faster and more reliable. 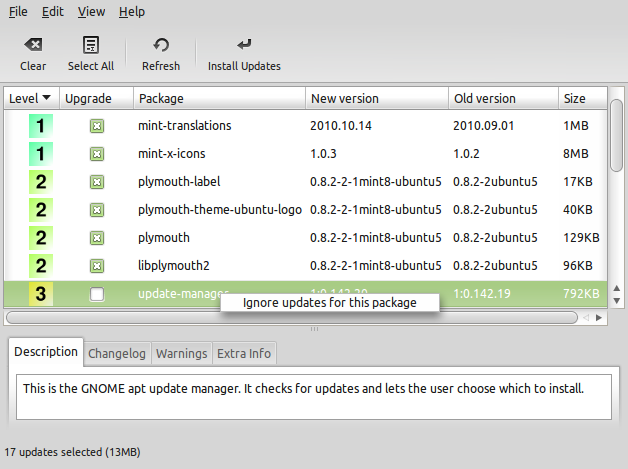 Meta packages: Codecs are now tracked by "mint-meta-codecs" and applications included in the DVD edition are tracked by "mint-meta-gnome-dvd". Adjustment system: The mintsystem adjustment system is now LSB compliant. 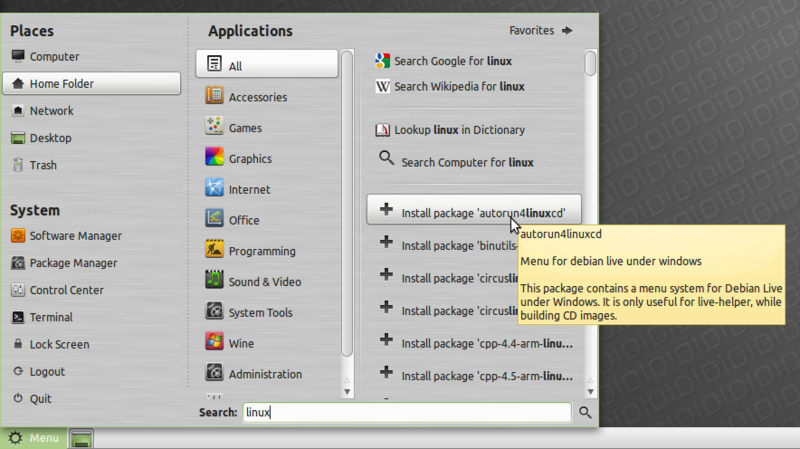 Linux Mint 10 features the following upstream components: Ubuntu 10.10, Linux 2.6.35, Gnome 2.32, Xorg 7.5.